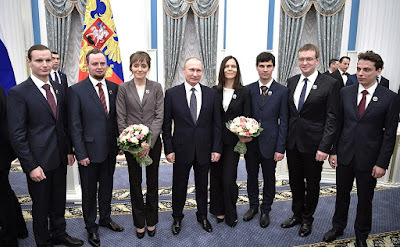 Vladimir Putin presented Presidential prizes in Science and Innovation for Young Scientists in the Kremlin on Russian Science Day. 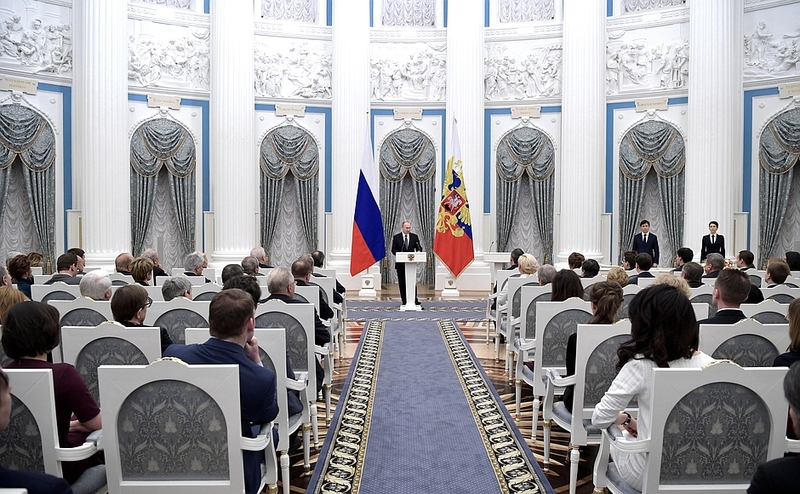 The prizes were established in 2008 and are awarded for research results that contribute to advancing natural and technical sciences and the humanities and for creating new equipment and progressive technologies that will boost the knowledge-based development of the national economy, social sphere and defense capability. The 2016 Presidential prizes have been awarded to researchers in physics, mathematics and medicine. Dmitry Blau, Yelena Lushchevskaya and Stanislav Poslavsky from the National Research Centre Kurchatov Institute have been awarded the prize for research into quark-gluon plasma using mega-installations and for developing the foundations of a new, highly productive computer algebra system for performing calculations in high energy physics. Alexander Gaifullin, senior researcher at the Russian Academy of Sciences’ Steklov Mathematical Institute, has been awarded the prize for resolving fundamental theoretical problems concerning the theory of flexible polyhedra, which lays the foundations for developing robotics. 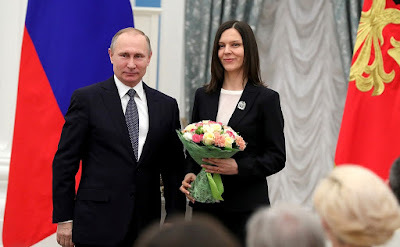 Alexei Dmitriyev and Anna Kudryavtseva from the Russian Academy of Sciences’ Engelhardt Institute of Molecular Biology have been awarded the prize for decoding new mechanisms involved in the emergence and development of the specific metabolism of malignant epithelial tumors. 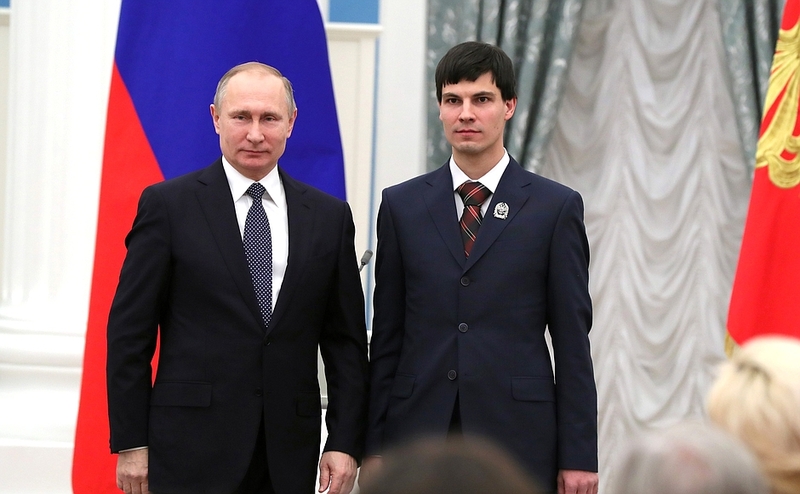 Ilya Romanchenko, PhD in physics and mathematics, junior researcher at the High Current Electronics Institute of the Russian Academy of Sciences’ Siberian Branch, has been awarded the prize for developing high-power radio pulse gyromagnetic generators that can be used to defend against terrorist threats and develop biomedical technologies. Let me start by congratulating with all my heart everyone involved in science on Russian Science Day. This date’s significance goes beyond the scientific community alone. 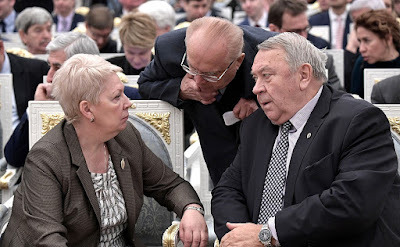 Russia’s science, traditions, schools, and unique achievements are, without question, part of not just our national heritage, but the world’s heritage. Scientific thought is part of our common culture and civilization, and the history of scientific ideas is a symbol of progress and advancement. Technological development and the need to ensure environmental, biological and food security create great challenges for today’s world. The scale and complexity of these tasks is such that we can resolve them only with the help of a strong science sector and modern technology. 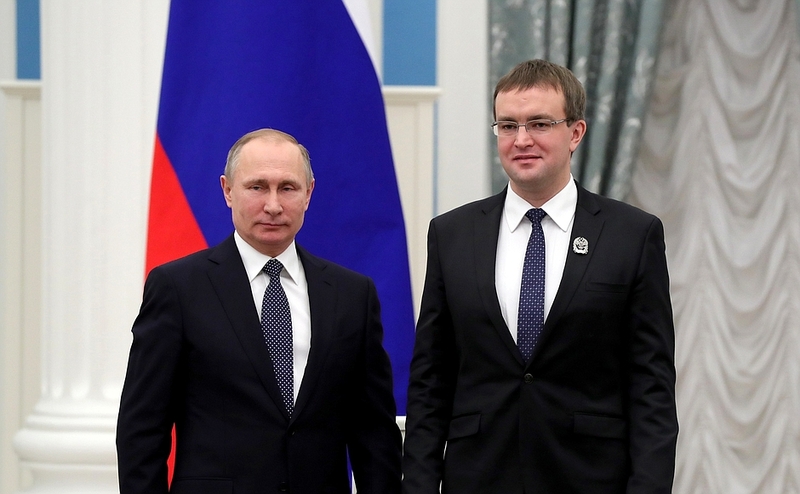 As you know, at the end of last year, we approved Russia’s national science and technology development strategy, which sets the main research priorities and main tasks for fundamental science, namely, to find solutions to the global challenges ahead. It is very important that young researchers also take active part in this work. The strategy places particular emphasis on their support. 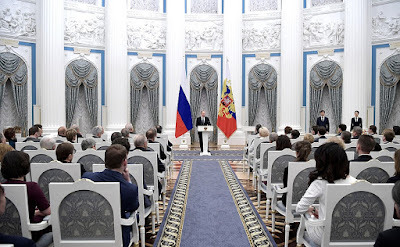 The Russian Scientific Fund is currently drafting a program especially for this purpose. 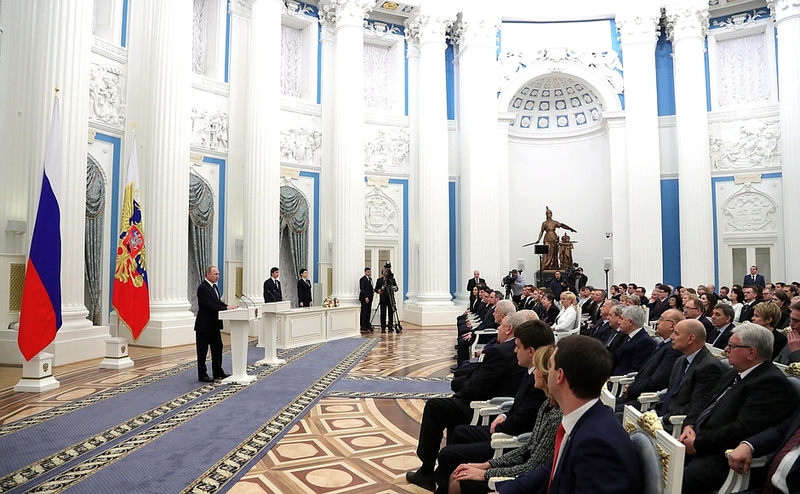 It will ensure that talented and highly educated people can and will aspire to realize their potential in full measure here, in Russia. Young scientists are already making their contribution to developing new knowledge and offer many original solutions. The work and results of today’s laureates are proof of this. Dmitry Blau, Yelena Lushchevskaya, and Stanislav Poslavsky work in nuclear and high energy physics and carry out a substantial part of their experiments at the Large Hadron Collider. Russia played a significant part in this unique international project’s creation and development. It is good to see that young Russian scientists have the chance to work at what is the world’s most powerful particle accelerator. Our laureates obtained results that shed light on how the universe came into being. They have also developed a new computer algebra system designed for carrying out calculations in high energy physics. Alexander Gaifullin’s research is concerned with geometry and topology. He has created a new field that develops the theory of flexible polyhedra. He will tell us today what this is all about. True, we have already seen some information in the media. His research results have practical application for designing robots and other complex technical systems. Alexei Dmitriyev and Anna Kudryavtseva work in the field of cancer research. The markers they have developed can be used to diagnose and set prognoses for some of the most common types of cancer. 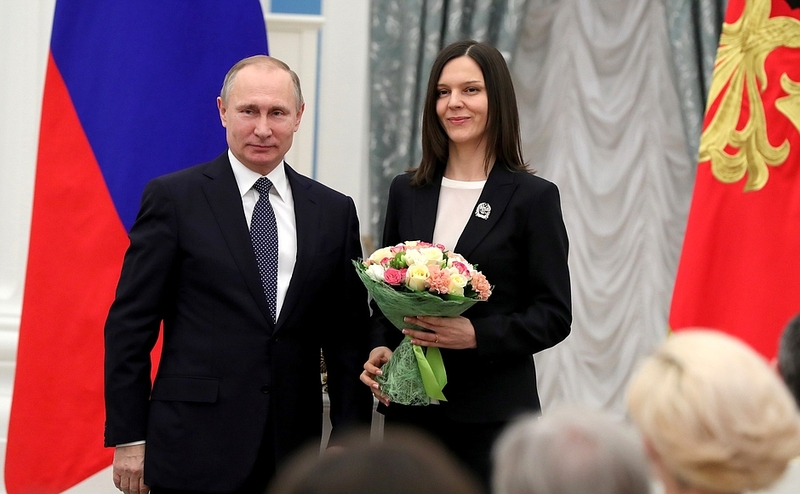 Their solutions are being used not only here in Russia, but at leading clinics and medical centers in 15 other countries, and I am sure that this number will grow. Ilya Romanchenko’s work focuses on developing methods for generating radio wave and microwave radiation. His work has made it possible to design models of ultra-powerful radio impulse generators that can be used, including at great distance, to block the functioning of electronic devices and also be used in areas such as protection against terrorist threats. We know that great achievements in any scientific field open the road to new breakthrough ideas. We can see this in the work of our winners, who travel boldly where no one has gone before and build on our scientific schools’ best traditions. I want to thank you sincerely for your hard work, persistence, energy and will, your bold scientific quests, and your belief in your vocation. And, of course, I thank you for your achievements. I wish you further success. As you know, I take part in all kinds of events here and abroad. Listening to our today’s winners just now, I did not simply listen, but was entranced by what they said and how they spoke. I was struck by how they spoke. A simple but very positive thought came to my mind then. 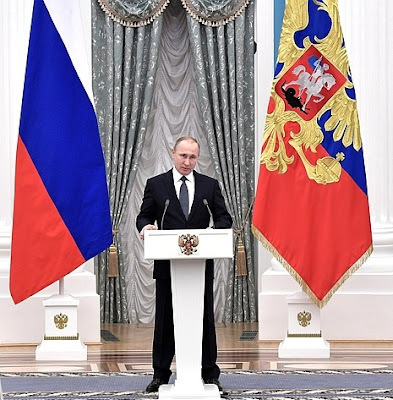 The foundations on which are country stands go so deep, and have such solid roots, that Russia’s bright and marvelous future is simply inevitable. 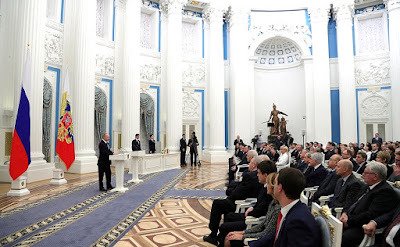 Vladimir Putin at the presentation of the 2016 Presidential Prizes in Science and Innovation for Young Scientists. At the presentation of the 2016 Presidential Prizes in Science and Innovation for Young Scientists. Vladimir Putin with Alexei Dmitriyev. Presidential Prizes in Science 2016. 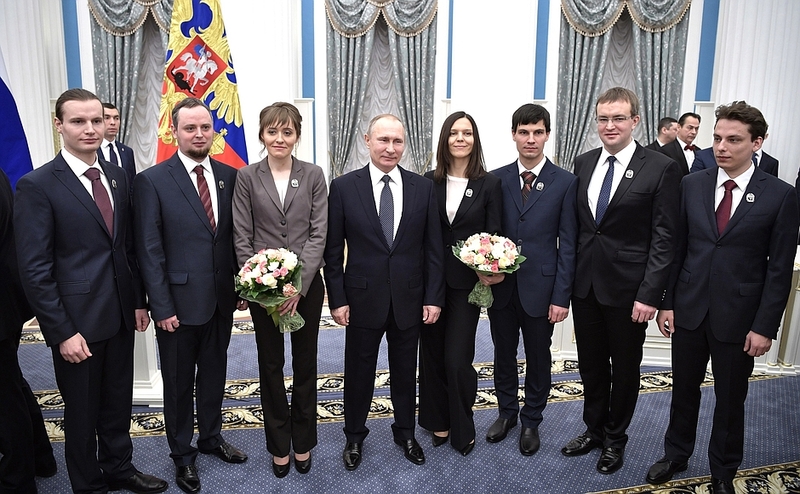 Russian President with the laureates of the 2016 Presidential Prizes in Science for Young Scientists. Presentation of the 2016 Presidential Prizes in Science and Innovation for Young Scientists. Vladimir Putin with Anna Kudryavtseva. Presidential Prizes in Science 2016. Before the ceremony for presenting the 2016 Presidential Prizes in Science and Innovation for Young Scientists. From left to right: Education and Science Minister Olga Vasilyeva, Rector of Moscow State University Viktor Sadovnichy, and President of the Russian Academy of Sciences Vladimir Fortov. 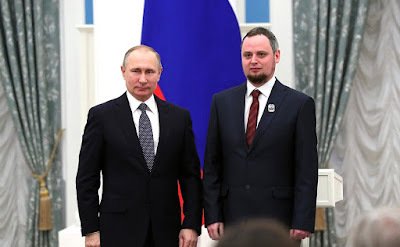 Vladimir Putin with Alexander Gaifullin. Presidential Prizes in Science 2016. 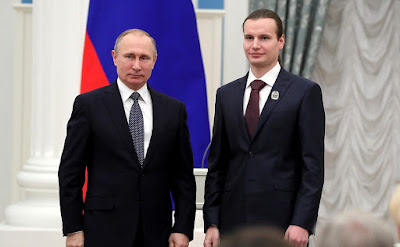 Vladimir Putin with Dmitry Blau. Presidential Prizes in Science 2016. 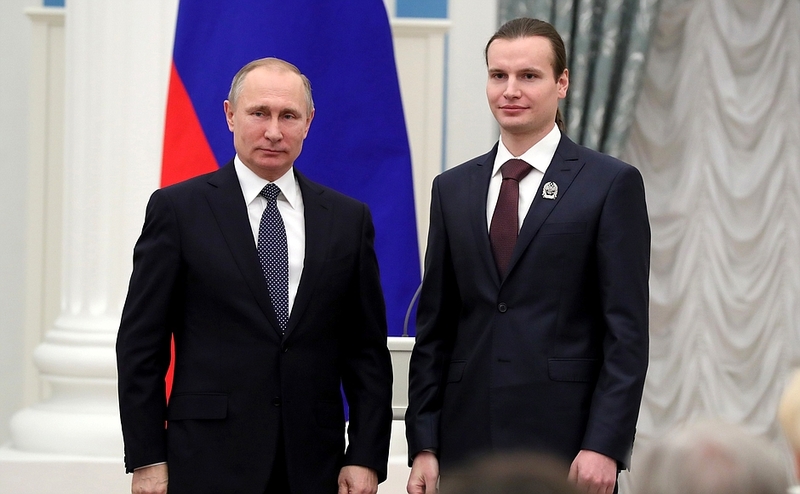 Vladimir Putin with Ilya Romanchenko. Presidential Prizes in Science 2016. 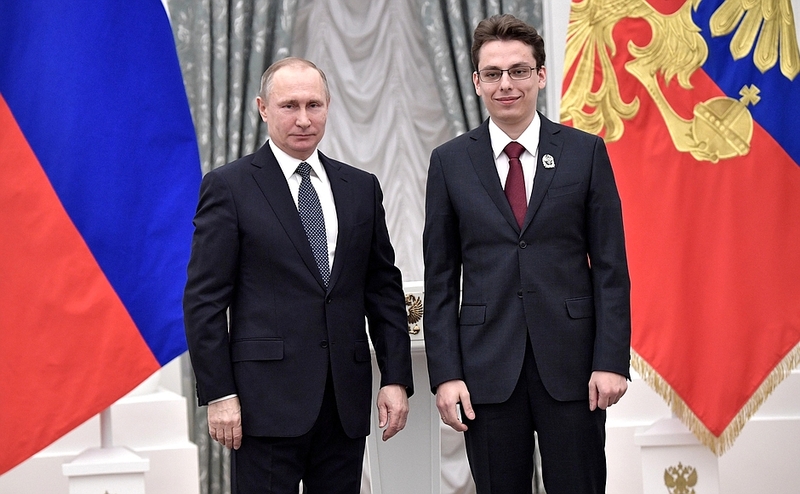 Vladimir Putin with Stanislav Poslavsky. Presidential Prizes in Science 2016. Vladimir Putin with Yelena Lushchevskaya. Presidential Prizes in Science 2016. 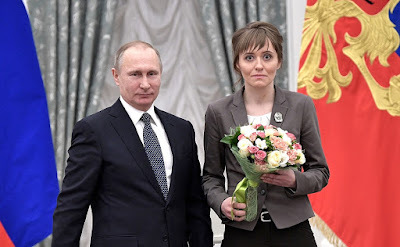 0 Comment to "Presidential Prizes in Science and Innovation"